CG FDU/VFX 2.0 AC drives offer reliable, cost-efficient and user-friendly operation of your pumps, fans, compressors, crushers, mills, mixers or blowers. Full control process ensures an optimized operation, with reduced energy consumption and less downtime. The CG FDU/VFX also protects your equipment from damage and unnecessary wear. 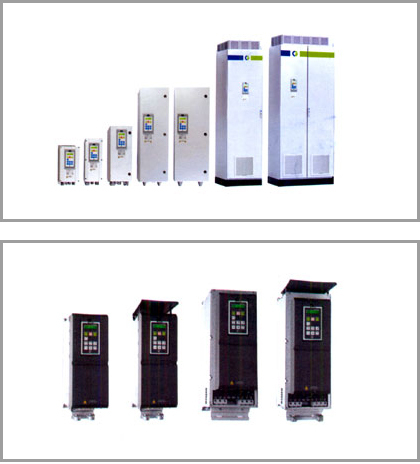 The complete range covers motor powers from 0.55 to 3,000 kW. ⇒ Robust and certified IP54 metal construction as option offers cost-efficient installation close to the application. ⇒ All drive sizes are delivered with built-in Category C3 EMC-filter as standard. C3 requirements are fulfilled with 80 m motor cable. ⇒ UL (UL 840) and marine (DNV) approved version available. ⇒ Speed controlled fans assures less noise, a more even drive temperature and higher drive efficiency. ⇒ Detachable multi-language control panel included as standard. Following languages are supported in the control panel: English, Swedish, Dutch, German, French, Spanish, Russian, Italian, Czech and Turkish. ⇒ Operation parameters can be set in your process units, for example m/sec, tons/h, cycles/min, m3/min and bar. ⇒ Removable control panel with own memory means it is easy to transfer or copy settings. ⇒ Liquid cooled version available for sizes above 90 A. The CG VFX 2.0 AC drive optimizes your process and prevents damage and downtime. 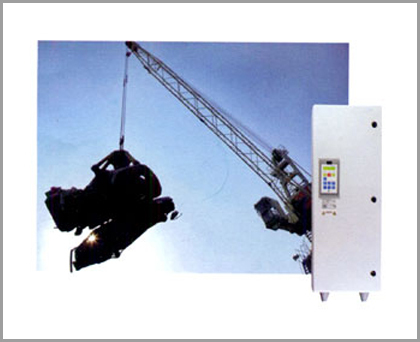 The combination of direct torque control, accurate speed control, and efficient vector braking makes it the ideal solution for all dynamic and constant torque applications, such as cranes, crushers, mills, mixers, and centrifuges. ⇒ Direct torque control reacts extremely quickly and eliminates disturbances due to abrupt load changes. ⇒ Soft starts minimize start currents and full motor overload capacity is available from standstill. ⇒ Integrated vector braking ensures quick and controlled stops, increasing productivity and safety. The CG FDU 2.0 AC drive is specially developed for controlling variable torque loads such as flow and pressure applications. A unique monitoring functionality protects your process from damage and unplanned downtime. Typical applications are pumps, fans, compressors, and blowers. ⇒ Soft starts minimize start currents and linear stops prevent water hammer. ⇒ One CG FDU can control up to seven pumps/fans without external control systems. ⇒ Energy saving function pauses the motor when it is not required to run to maintain pressure. 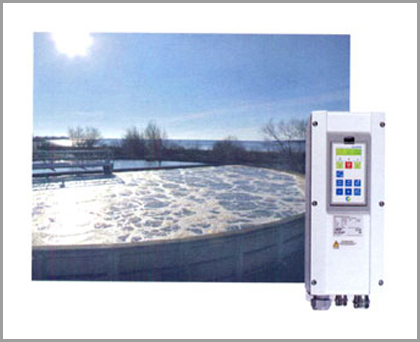 ⇒ Efficiency is increased by setting the pump to run at full speed at certain intervals to rinse out sludge.